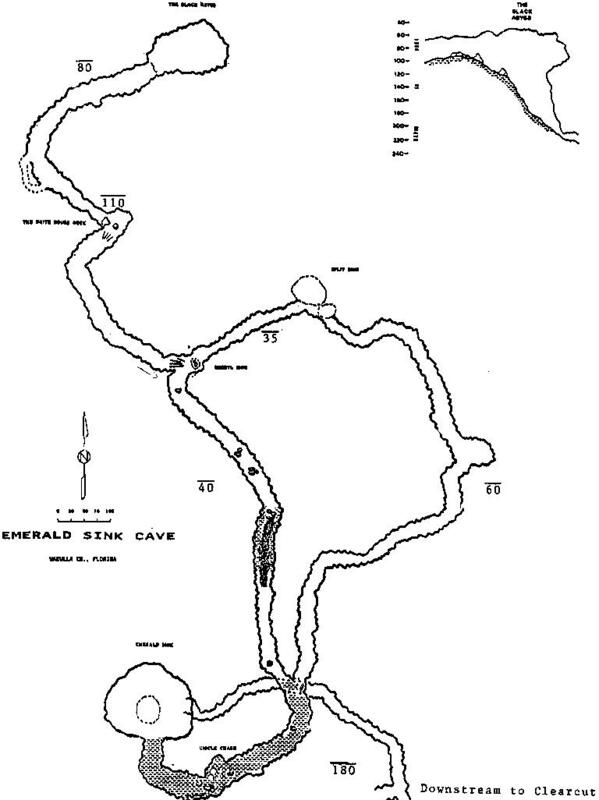 The Emerald Sink cave system is in Leon County on state property and is across the street from Cheryl. Only one permitted group has access to this site. Emerald Sink is a pretty well known cavern in the Tallahassee area. This entrance into the Leon Sinks cave system is supposed to be one of the prettiest. The cave site and almost all karst windows leading to the system are closed except for the WKPP. They are the only grop permitted to dive these caves due to libility concerns and damage caused by inexperienced caves. In May 2001, a 23 year old OW PADI 'Divemaster' diver died here. Apparently the kid and a few friends decided to go into the cave and *turned off their lights* to see how dark it would get. Then they turned the lights back on and exited, the group noticed the diver missing. He was later found 1000 feet into the system at a depth of over 150 feet. Darwin will get you if Murphy does not. Copyright (c) 2019, Dayo Scuba Center LLC.